The Central Bank of Malta, in collaboration with the Lombard Bank Malta Plc., have launched (30th November) a new range of gold bullion coins which carry both the name and allegorical image of “Melita.” The gold coins are struck by the PAMP Mint of Switzerland and will be issued in three denominations and weights: A quarter-ounce, half-ounce, and one ounce. Malta now joins a number of other countries that have their own range of bullion coins. 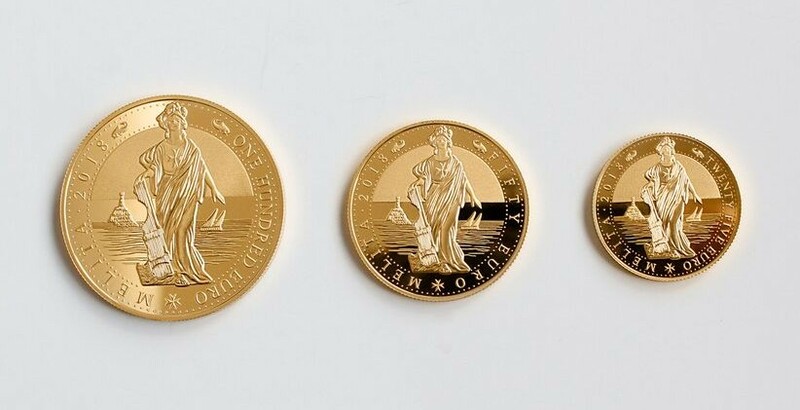 The coins are legal tender and since they are classed as investment gold, the price of the coins is based primarily on the metal content and the spot price of gold on the international markets and will be exempt from Value Added Tax (VAT). 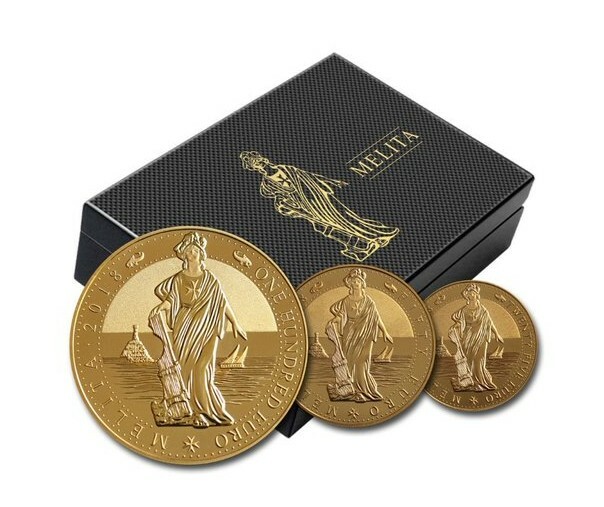 The Melita will make it easier for those wishing to add gold bullion to their investment portfolio and diversify holdings, or to a coin collection. The coins are struck from a .9999 millesimal fineness (24 karats), and, as such, they are among the purest official bullion coins available worldwide. The largest version of the three coins has a weight of one troy ounce (31.10 grams), a face value of €100, and include two other denominations and sizes: 1/2-ounce (€50) and 1/4-ounce (€25). The Melita’s obverse and reverse designs are based on the personification of Malta as an allegorical female figure which was inspired by the Edward Caruana Dingli postage stamp of 1922 and the present coat of arms of the Republic of Malta. Each coin is officially certified and housed in an individually numbered and sealed card utilising VERISCAN technology that both protects and certifies the coin within. Scanning with an iPhone app will authenticate the coin itself. PAMP’s revolutionary VERISCAN system operates on the fact that even man-made products possess microscopic “surface profiles” as individual and distinctive as a fingerprint. This advanced scanning technology instantly authenticates any PAMP precious metals product bearing the VERISCAN logo. Boosting efficiency and greatly reducing the risk of counterfeit bars and coins, the benefits of the VERISCAN system are visible for both distributors and investors alike. The Melita will make it easier for those wishing to opt for gold either as a portfolio diversification or as part of a coin collection. The 2018 issue will be limited, whereas in the future the number of coins to be minted shall be according to demand and may vary from year to year. The design on the coins is intended to remain the same each year with the only change being the year of issue. 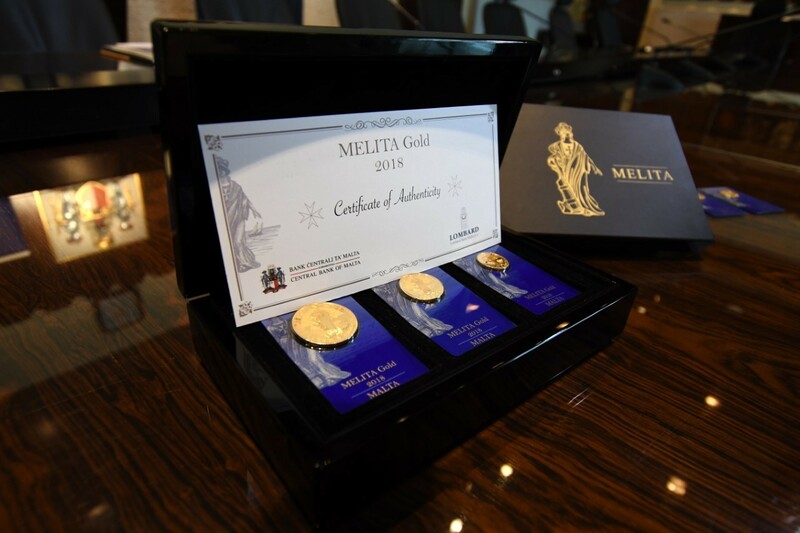 *As part of the introduction and debut launch of the Melita gold bullion coins, a specially prepared set of all three 2018-dated coins is brought together in one presentation and is limited to just 100 sets in total. For additional information, including purchases, please visit the website of the Malta Coin Centre (MCC). For those residing in Malta, you may visit the Malta Post website. The mintage for the one ounce gold bullion is 250 (! ), the mintage for the half ounce is 500, also for the quarter ounce.